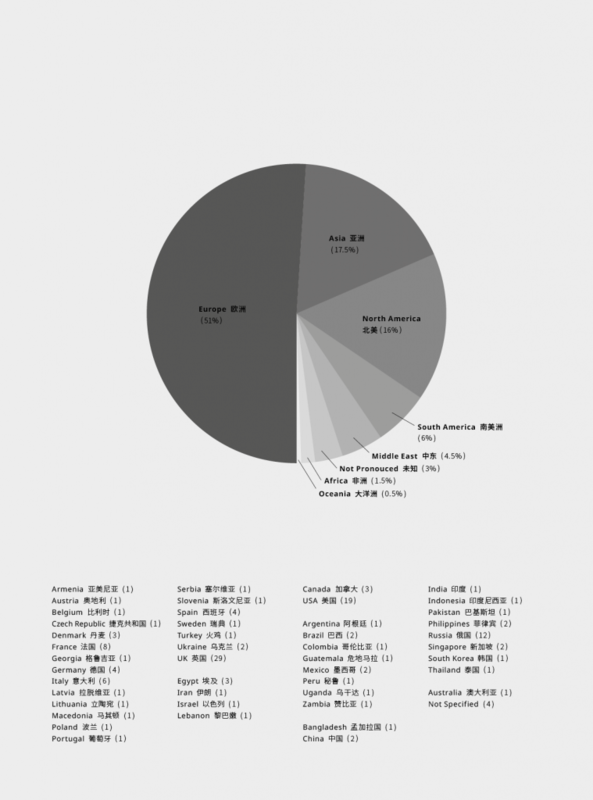 With the successful completion of the second round of the International Awards for Art Critics ( IAAC 2 ) at the end of November 2015 in Shanghai, we can confidently say that these Awards are fully into their stride and have already earned a place for themselves in the international artistic and critical community. The aim of the Awards remains unchanged: to support independent critical coverage of contemporary art, away from the immediate pressures of market, media and all forms of instrumentalisation. The focus of the Awards on exhibitions draws attention not only to the artists and the work in play, but to other, wider issues of context, presentation and social, economic, aesthetic or historical interest. Questions of display may enter into this. And the deliberate focus on the short newspaper-length review of 2,000 characters, or 1,500 words, prioritises immediacy of address over the longer, more discursive, essay form. The challenges of writing critically about contemporary art are consistent, though there are many ways of responding to it, and the environment for doing so is changing rapidly. We are sticking to the printed word for the moment, although it becomes increasingly clear that criticism is exercised in a wide variety of different media ( oral, digital, filmic and other ) and sometimes in the most unexpended guise ( silence being also an exercise of critical acumen ). We are sticking to the two principal world languages, Chinese and English, for the present, although we hope never to lose sight of the reality, that all forms of criticism are modes of translation, and that language is a no less opaque medium than the visual phenomena it seeks to serve. We may be constrained in our choice of language, but the geographical constraints have largely disappeared. Whilst the Awards are primarily funded and supported by our partners in China, and draw strength from the vibrancy of the contemporary art scene there, they recognise no barriers, either to writers in China itself, where competitors from eleven mainland provinces make up a quarter of the total of 81 Chinese entries, or to Hong Kong and Taiwan ( with ten entries between them ), France ( with five ) or the UK, USA and Germany, with a couple each. 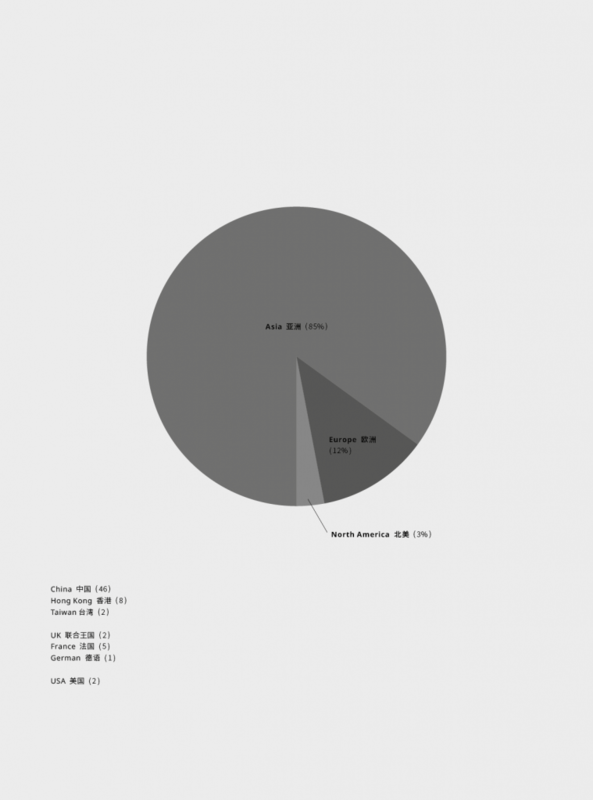 The geographical spread of the 141 English-language entrieswas, if possible, still more varied, making a total field of 222 entries, all focusing on recent exhibitions, in which the artists ( or group of artists ) and the physical, social, economic and cultural background are analysed and debated, in conditions of anonymity. That is, the only marks of identification on the shortlisted papers examined by the jury were the temporary marks they had been allocated for the purpose of recording the results. In these conditions of anonymity, it was more than a little gratifying to find that all the Award winners turned out to be fully affirmed, published authors, with a serious record of research and achievement behind them, and that all of them were representative of a rising generation, half of them being young writers, in search of a wider audience.Indeed, the overall winner of the First Prize, David Balzer, from Toronto, in Canada, has already attracted considerable international attention for his recent, highly topical, book Curationism, How Curating Took Over The Art World And Everything Else ( London, 2014 ). As for the second prize winners, Zhang Wei is a researcher, critic and artist, and currently a visiting fellow at the City University of Hong Kong ( MFACM ) and Andrew Weiner an Assisstant Professor of Art Theory and Criticism at NYU whose work aims to theorise and historicise relations between aesthetics, politics, and media. The overall standard of entries this year, from 49 different countries, was still higher than on the previous occasion, when the number of entries was marginally higher. This made the judging process still more difficult, but threw up some interesting discussions along the way. Approximately ten shortlisted essays in Chinese and ten in English are published here together, in the original language and in translation, so readers may judge this for themselves. Our thanks go first of all to the selectors in the first round, including Anne Duffau, Ai Min and Carol Liu, in addition to the Board members of the IAAC, and in the finals to the five judges, Marek Bartelik, Juan Cruz, Dieter von Graffenried, Pi Li and Yongwoo Lee, who all met in camera in Shanghai! Then we must thank the 222 contenders, in all, for taking the risk of submitting their essays to unusually critical examination. In addition we wish to thank our most generous sponsors, the Shanghai Minsheng Charity Foundation ( Gan Zhiyi ), the Anxin Trust Co. Ltd. ( Amy Gao ) and the Shanghai Pudong New Area People’s Government ( Yumin Xie ), in addition to the staff of the Shanghai 21st Century Minsheng Art Museum ( Gan Zhiyi, Su Xiaohe, Wang Dan, Gu Jia and Huang Yedan, in particular ), as well as our colleagues at the Royal College of Art ( Juan Cruz and Anne Duffau ), gunnercooke llp ( John Shield and Marina Bru ) and Stinsensqueeze, London and Paris, the designers of this second edition of the Exhibitions Reviews Annual, 2015 – 16. Henry Meyric Hughes ( Chair ), Lewis Biggs ( Treasurer ), Juan Cruz, Ling Min, Board Members; and Gan Zhiyi and Amy Gao, Members of the Executive Committee of the International Awards for Art Criticism, Shanghai and London. A publication of the International Awards for Art Criticism Ltd. ( IAAC ), in partnership with the Shanghai Twenty-First Century Minsheng Art Museum, Shanghai and the Royal College of Art, London. With the support of the Shanghai Minsheng Art Foundation, China Minsheng Bank ( CMBC ), Anxin Trust, Shanghai Artemis Art Center, and the International Association of Art Critics ( AICA ). The board of the IAAC would like to thank Anne Duffau, Gan Zhiyi, Amy Gao, Gu Jia, Aine Duffy, Michael Turco. ©2016 the editors and authors. All rights reserved. No part of this publication may be reproduced, stored in a retrieval system or transmitted, in any form or by any mechanical means, photocopying or otherwise, without prior permission in writing from the publisher and the board of the IAAC. The board of the IAAC have made every effort to trace copyright holders, but if any have been overlooked, we will be pleased to publish the necessary acknowledgements at the first opportunity.